Barnum and Bailey return to the Staples Center with Circus Xtreme! Looking for an event that your whole family will love? Are you looking for something that will keep them entertained? If so, consider catching a performance of the latest creation from Ringling Bros. and Barnum & Bailey as they present Circus Xtreme. When you and your family go to this event, you’ll be talking about it for days to come! Circus Xtreme will take place at the Staples Center from July 9th through the 14th. Get your tickets today! 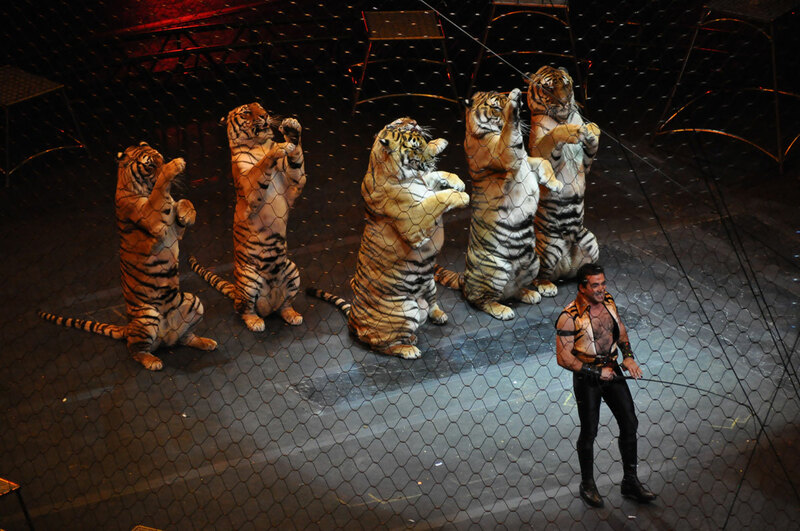 The Ringling Bros. and Barnum & Bailey circus is unlike any entertainment you have ever been to before. At Circus Xtreme, not only will there be typical circus events such as a human cannonball or a caravan of camels, but there will also be some extreme performances as well! You’ll see parkour, BMX freestyle, slack-line gymnastics and more. Come and watch as incredibly talented performers test their limits and flip and spin through the air with incredible grace. Invite everyone you know to this family-friendly event and enjoy the experience together. Ringling Bros. and Barnum & Bailey Present: Circus Xtreme will be at the Staples Center for a limited amount of days. On July 9th the performance will be at 7:30 pm. On Friday, July 10th there will be a performance at 12 pm and 7:30 pm. On Saturday, July 11th there will be performances at 11:30 am, 3:30 pm, and 7:30 pm. On Sunday, July 12th there will be performances at 11:30 am, 3:30 pm, and 7:30 pm. On Monday, July 13th there will be one performance at 7:30 pm. On Tuesday, July 14th there will be performances at 12 pm and 7:30 pm. You can purchase tickets for this event through the Staples Center official website. Tickets begin at $25. The Staples Center is located at 1111 S. Figueroa St., Los Angeles, CA. If you’re coming from out of town, stay in a hotel close to the Staples Center with affordable rates and get the full LA experience. Circus XTreme is a show you won’t want to miss!